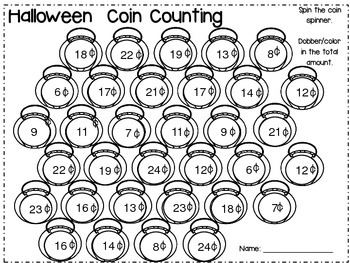 Students add nickels and pennies together and dobber/color in the total. 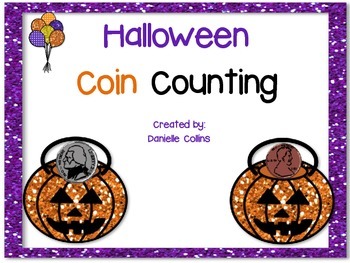 Can be played individually, in pairs, in small groups, or even as entire class. 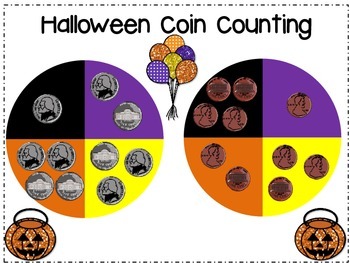 This freebie is part of my HALLOWEEN MATH CENTERS. 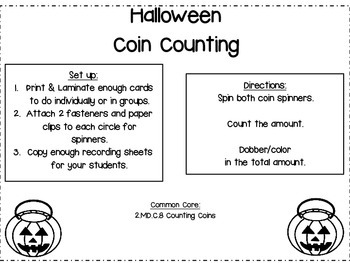 Print & Laminate enough cards to do individually or in groups. Attach 2 fasteners and paper clips to each circle for spinners.